Here at Clickprinting.ie our Loyalty cards are perfect for any business, organisation or event. If you are operating one of the following Hair Dressers, Restaurant, Car Washing, Takeaway’s, Deli’s, Personal Trainers or similar, then look no further as we have what you need. 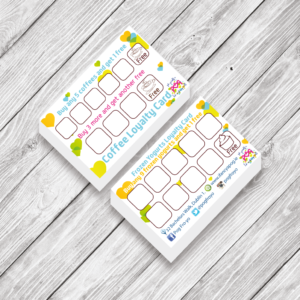 Our Loyalty cards come printed on a high quality 350gsm silk artboard.